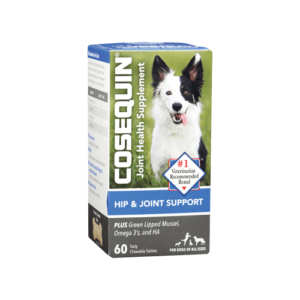 What is Cosequin® Hip & Joint Support Plus? 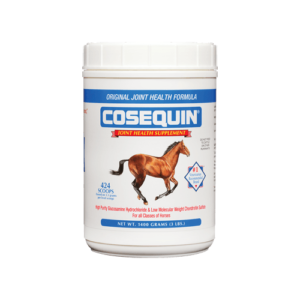 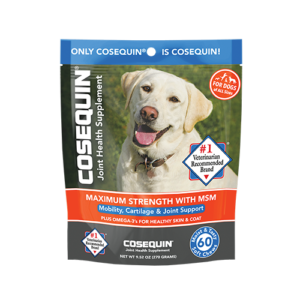 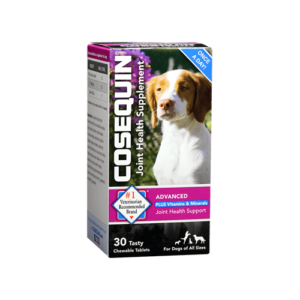 Cosequin® Hip & Joint Support Plus contains Glucosamine Hydrochloride, MSM (Methylsulfonylmethane), and HA (Sodium Hyaluronate) in a bottle of 60 tasty chewable tablets. 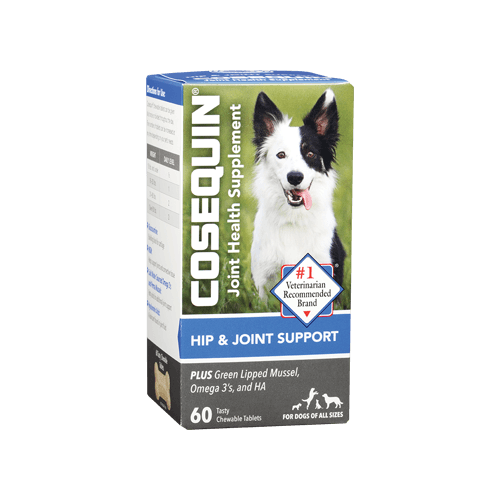 These ingredients work to support your pet’s joint health to help keep your pet active. 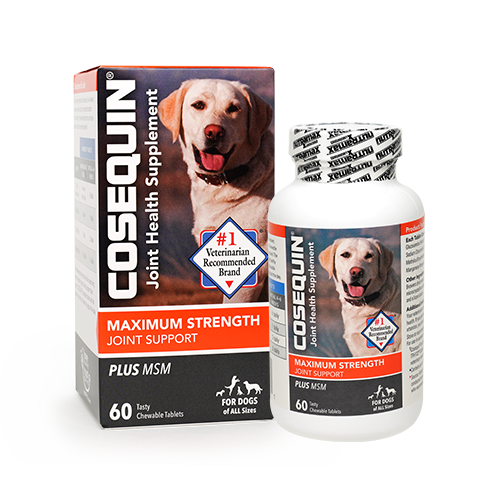 Cosequin® chewable tablets can be given all at once or divided throughout the day. 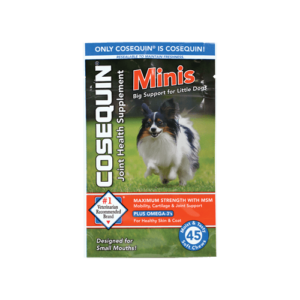 The number of tablets can be increased at any time depending on your pet’s needs. 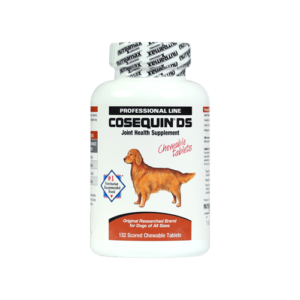 Formulated to contain 22 mg of a proprietary blend of marine lipids and Perna canaliculus (green-lipped mussel), a source of omega-3 fatty acids.